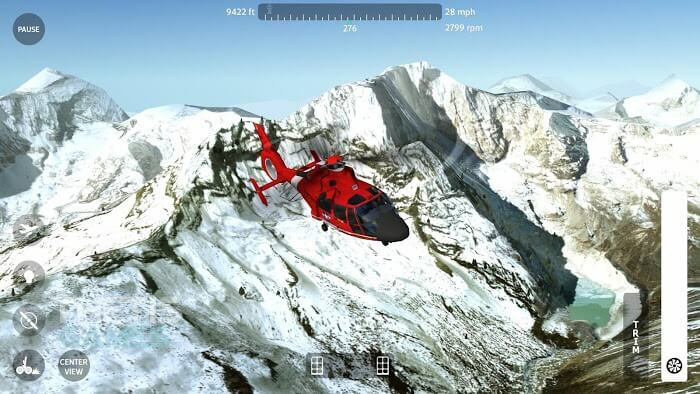 Flight Simulator 2018 FlyWings Free – Since ancient times, flying in the sky is a dream of human luxuries. And then, the Wright Brothers invented the first aircraft that laid the groundwork for the dream of conquering the sky. From the first time, the plane flew 12 m in space in 1903, during more than 100 years of development, today we have a complete aircraft model and the sky is no longer far within reach. Have you ever wanted to be a pilot so that you can fly like a free bird out there? It’s hard because the tests and hiring process are very strict. But today you will be able to overcome them easily with Flight Simulator 2018 FlyWings Free. 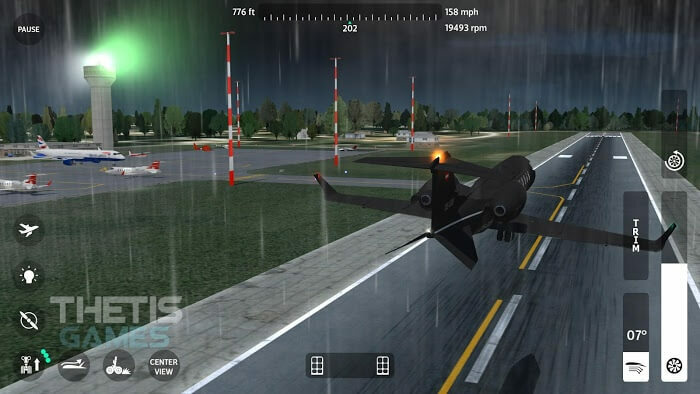 This is a simulation game released by Thetis Games and Flight Simulators. Please find out about the features of this game. Become a pilot, you have to do something other than control your plane again? Yes, your task in this is to navigate the airplanes to carry the mission of transporting passengers, goods or valuable military materials. For each mission, you have to use different types of aircraft. Passengers should use airplanes that are comfortable, transport them, use airplanes with large compartments and have strong engines, or transport military materials, you need to use the type Jet-powered, high-speed, and invisible to radios. From the very beginning, you are offered a few default planes. During the mission, you will receive attractive bonuses, use them to unlock better planes. The game offers hundreds of aircraft with powerful engines for you to choose: Fighter 15, MK9 Reaper Drone, Corsair FI41 WWII or Saint Martin 01. About the mechanism, you use the left and right buttons. to change the direction of travel, combined with a slider on the screen to change the speed of your flight. As soon as you successfully take off, there are green squares in the sky, your mission is to fly in those squares to reach a certain position. The game will calculate the time of your journey, when the less time, the greater the bonus. However, for newcomers, flying in these squares is quite a difficult task. Adjust the speed down a bit to control it easily! 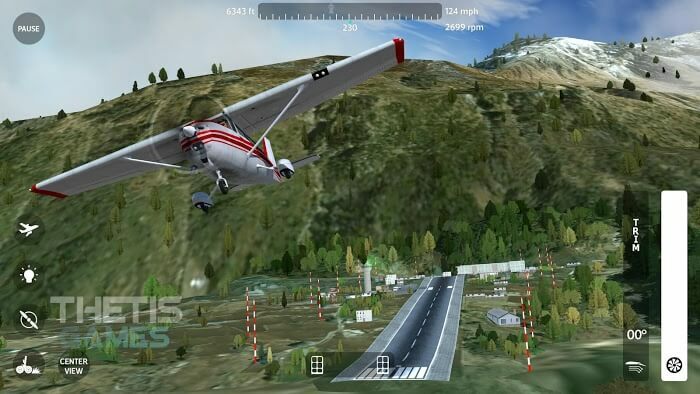 The dream of becoming a pilot is entirely within your control, with Flight Simulator 2018 FlyWings Free. Right now, you can become a professional pilot and demonstrate your control skills with a variety of aircraft. Certainly with true graphics, combined with this unique gameplay will give you the feeling of flying in the sky. You can put aside all the trouble and fly freely like the birds out there.